Filing bankruptcy in Petaluma is affordable with $900 bankruptcy attorney Michael Benavides. Unlike many Sonoma County bankruptcy lawyers who charge more than $2,500 for chapter 7 bankruptcy, Michael charges an affordable $900 flat fee for most chapter 7 bankruptcy cases. To eliminate your debt with an affordable bankruptcy lawyer call Michael Benavides at (707) 200-6688. How Can Michael Only Charge $900? 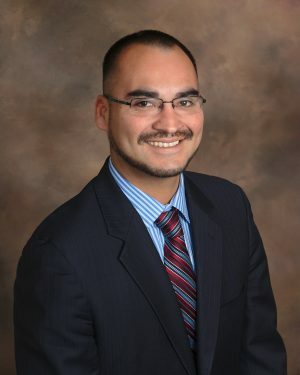 Michael Benavides is a consumer bankruptcy attorney in Santa Rosa, California. By maintaining low advertising costs Michael can afford to extend reasonable bankruptcy fees. Moreover, his Sacramento bankruptcy practice gives him the freedom to charge less than all the other $2,000 Sonoma County bankruptcy attorneys. How Is Michael Different Than Other Petaluma Bankruptcy Attorneys? The most obvious difference between Michael and other Petaluma bankruptcy attorneys is the price, but there are other differences as well. First, Michael maintains cost-effective office space in Sonoma County. Unlike high-priced downtown law firms, Michael maintains a small office outside the busy downtown. His convenient location and moderate overhead allow him to extend moderate fees to clients. Second, Michael doesn’t spend exorbitant amounts of money on marketing. Many of Michael’s clients find him on the internet or through personal referrals. This allows Michael to maintain a moderate caseload without upcharging clients for advertising. Lastly, Michael takes a personal approach to bankruptcy. Clients can generally reach Michael by phone or receive a call back within a few hours. By maintaining a reasonable number of clients Michael is fairly accessible. How Can I Hire Michael Benavides? Before you can hire bankruptcy attorney Michael Benavides you need to receive a free consultation. For Sonoma County residents consultations are available by phone. To schedule your consultation call Michael at (707) 200-6688. The consultation is for both you and the attorney. It is your opportunity to learn more about bankruptcy and ask questions. It is the attorney’s opportunity to make sure that you qualify for chapter 7 bankruptcy or chapter 13 bankruptcy and to make sure there are no serious issues in your case. No, only a portion of your total fee is due upon signing a representation agreement. However, before your chapter 7 bankruptcy case can be filed the attorney fees must be paid in full. What Happens After I Hire Michael? The next step will depend upon your individual circumstances. If you are facing foreclosure, wage garnishment, or a lawsuit Michael may advise you to file an emergency bankruptcy petition. In that event, Michael will direct you to complete credit counseling, obtain some basic information and order a credit report. Shortly thereafter Michael will prepare a “skeletal” petition. You will sign the petition and Michael will electronically file it with the Bankruptcy Court. In the following 2 weeks you will supply your paystubs, bank statements, and tax returns. In turn, Michael will draft the “balance” of your petition.